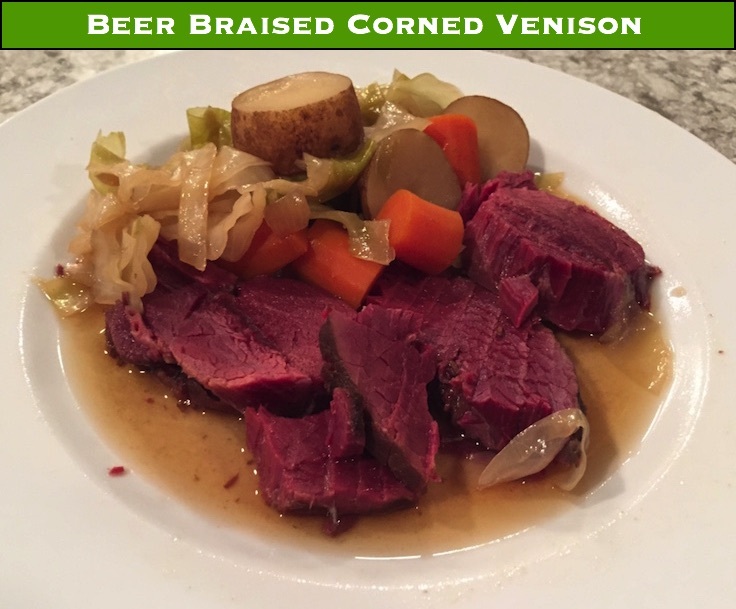 Braised corned venison with cabbage is sure to be a favorite meal for your family. 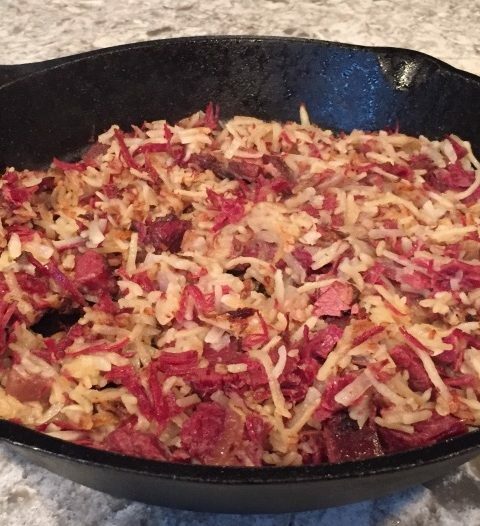 So you have corned the beast (see article here). Now we need to cook it to turn it into a corned venison meal. 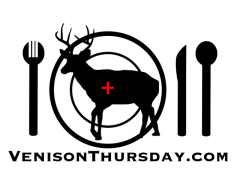 Because venison is so lean, you have to be careful at this step. If you do a standard boil, and you boil it a bit too long, you’ll end up with some shredded, dry meat when you go to cut it. It will still taste good, but you’ll need to add some gravy or serious mayo/mustard on your sandwiches. 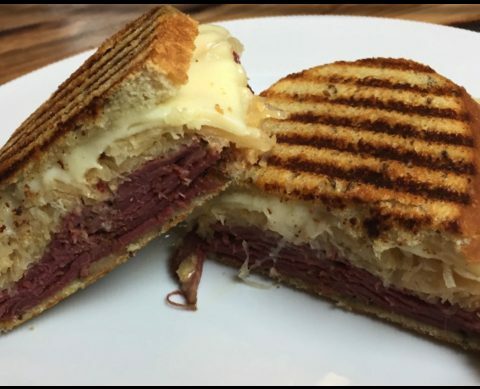 The Sirloin Tip is a great choice for corning your venison – the size is perfect for a family meal or making sandwich meat slices. Put the onions, garlic, and spices in the dutch oven. If you will add vegetables later, use a spice bag, otherwise you will be getting a lot of flavor bursts later. Add the roast. Add the liquids. I like the roast to be at least half submerged, but am usually somewhere between half to three quarters covered, so add more liquids if you have a big roast. Throw it in the oven at 250 for about 6 hours. Flip it once or twice during that timeframe. 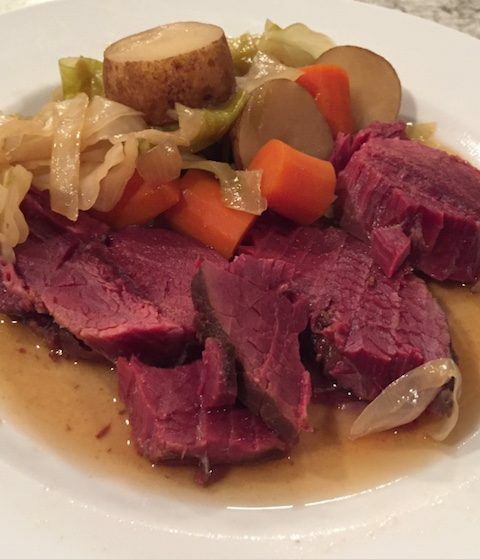 If you want a standard corned beef meal, throw your vegetables of choice (cabbage, carrots, potatoes, etc) in for the last hour or so. For a twist, leave the potatoes out – and instead mash them. 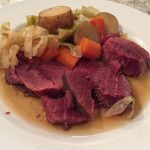 Having the corned venison, cabbage, and carrots on a bed of mashed potatoes is our preferred route – the mashed potatoes add a creaminess to the mix and a nice balance to the saltiness of the roast. If you want it for sandwiches, put the whole dutch oven in the fridge overnight (roast is still in the liquids). Pull it out the next day and slice it up, and hide it, because it goes quick when people find it! 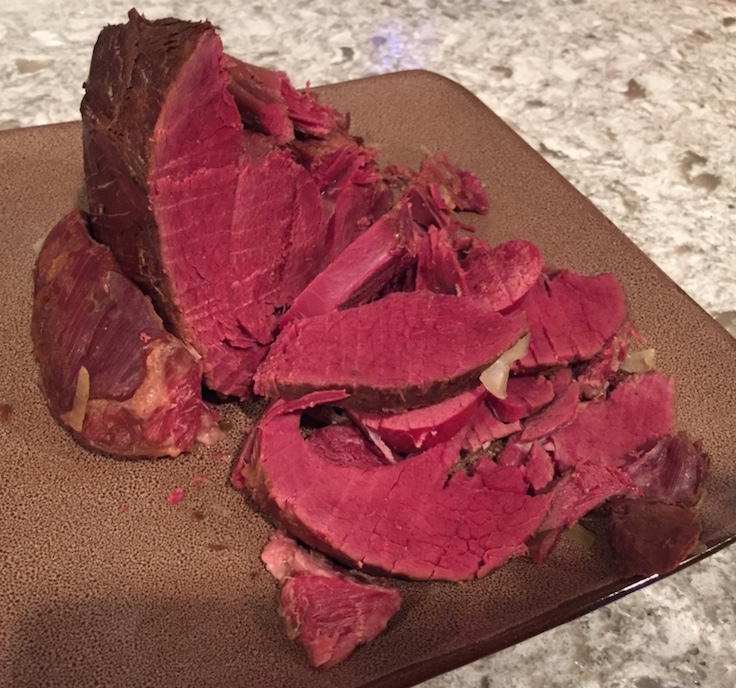 The Sirloin Tip is a great choice for corning your venison - the size is perfect for a family meal or making sandwich meat slices. Put the onions, garlic, and spices in the dutch oven. If you will add vegetables later, use a spice bag, otherwise you will be getting a lot of flavor bursts later. Add the liquids. I like the roast to be at least half submerged, but am usually somewhere between half to three quarters covered, so add more liquids if you have a big roast. Throw it in the oven at 250 for about 6 hours. Flip it once or twice during that timeframe. 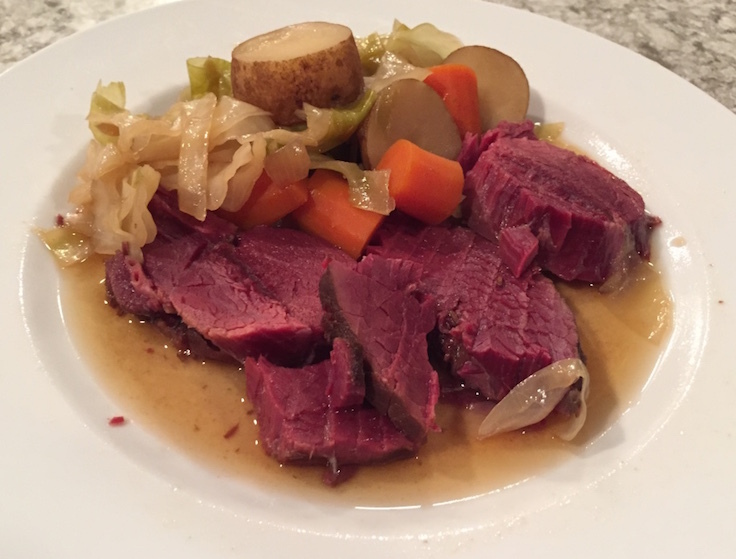 If you want a standard corned beef meal, throw your vegetables of choice (cabbage, carrots, potatoes, etc) in for the last hour or so. For a twist, leave the potatoes out - and instead mash them. 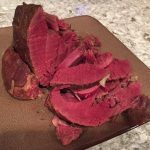 Having the corned venison, cabbage, and carrots on a bed of mashed potatoes is our preferred route - the mashed potatoes add a creaminess to the mix and a nice balance to the saltiness of the roast.